The Reina Square stainless steel towel rail is a sleek design which will withstand the test of time in a bathroom due it being manufactured from 304 grade polished stainless steel. 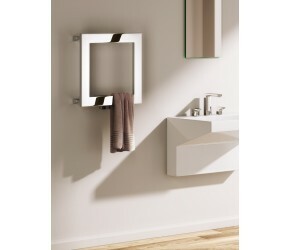 This particular towel rail boasts a 25 year guarantee for peace of mind. The square design is perfect for any modern, bathroom with sharp lined furniture and sanitaryware.